100% Renewable Energy Event a Success! Wind, sunlight and water can power the entire world’s electricity, heating and transportation needs. 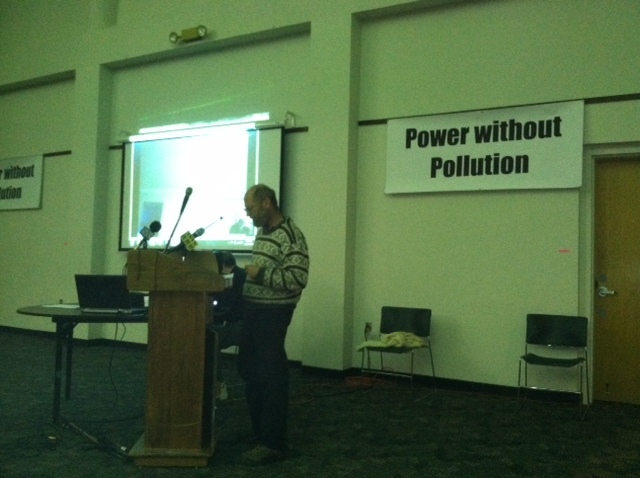 That was the conclusion of the discussion on November 14th organized by the new group Power Without Pollution. CvC co-sponsored the event. Some 90 people were in attendance! The two speakers were CT-based labor historian Jeremy Brecher and, via Skype, Stanford University engineer Mark Jacobson. He authored the Scientific American cover story “A plan for a sustainable future: How to get all energy from wind, water and solar power by 2030“. We will link to the video when it is available.